Some years ago I published a compilation here at EJ titled Maskanda Roots, that traced the history of this, often guitar-based, Zulu traditional music. In that article I mentioned Zimbabwean omisaganda, Josaya Hadebe as one of the major influences of this style of music, though at that time I had no examples of his work. 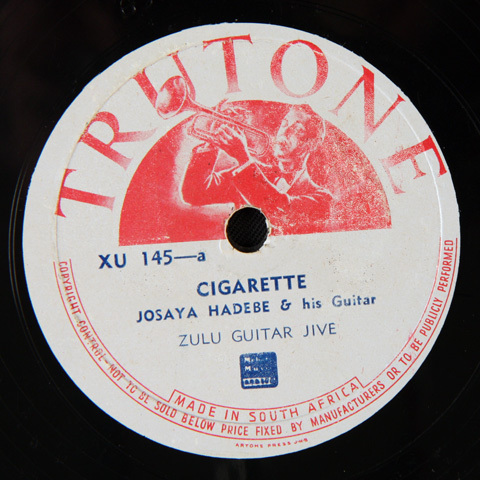 Today we feature ten tracks recorded for Trutone roughly between 1947 and 1954. Both David Coplan and Joyce Makwenda point to the Ndebele (with their close roots to Zulu) styles in southern Zimbabwe, notably Bulawayo, as an early significant influence on maskanda with artists such as Josaya Hadebe, George Sibanda and Sabelo Mathe. Interestingly these Bulawayo guitarists were referred to as omasiganda and had a distinctive country western influence modeled after the singing cowboy in American films of the time. Omisaganga like maskanda is derived from the Afrikaans musikant. 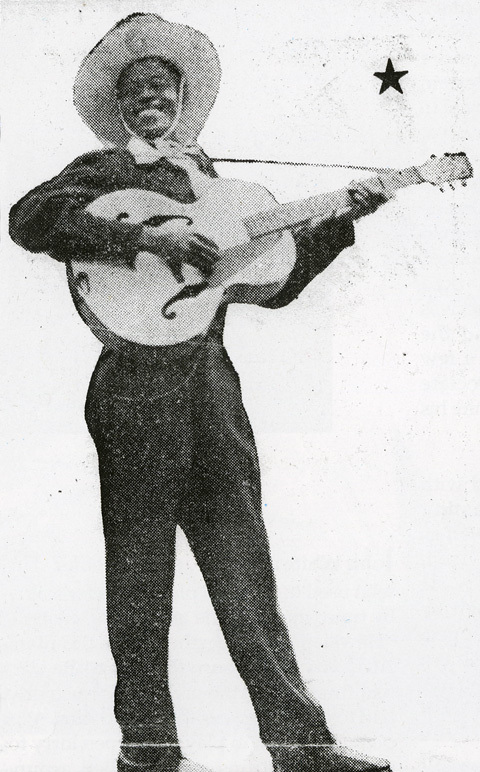 The omisaganda were one-man band troubadours strolling the township streets of Bulawayo, basically busking for money. Often they were in demand as entertainers at functions such as “tea-parties”, shebeens or at venues like the Stanley Hall built in 1935. 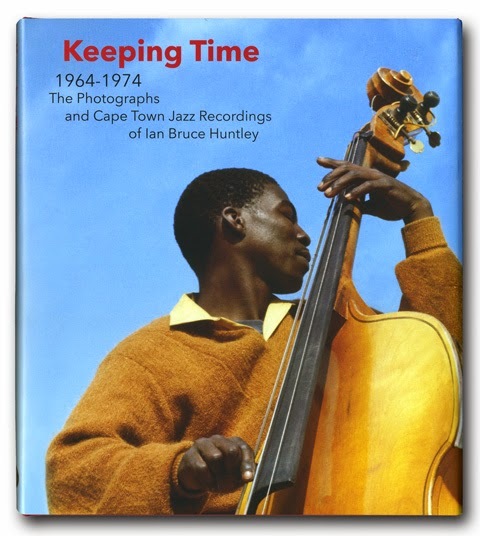 Makwende also suggests that Hadebe recorded fifteen songs with Eric Gallo, through Hugh Tracey’s AMR unit, in 1948 but I have found no examples of these. 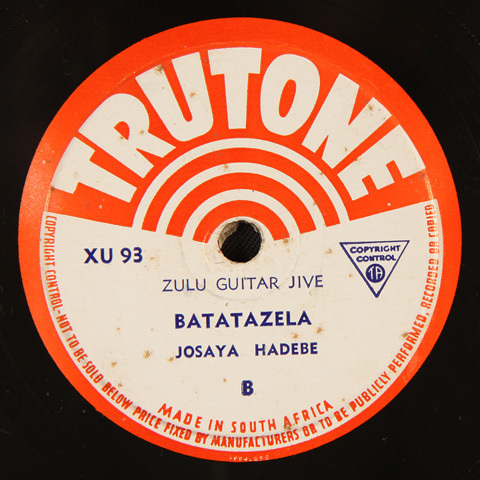 Tracks by Hadebe that I have located from this period seem to have been recorded for Trutone and I suspect that it is these that she may have been referring to. Finding additional background information on Hadebe has proven to be difficult but a paper by S.J. Mhlabi titled An African Troubadour: The Music of Josaya Hadebe has been cited in a number of publications. If anyone has a copy of this text please let us know. Another fantastic collection. Many thanks for the music, the label pix and the background information. Much obliged! Listening to these again, this is truly a priceless treasure. Thank you so much for sharing. Any chance this could be re-upped? Thank you.